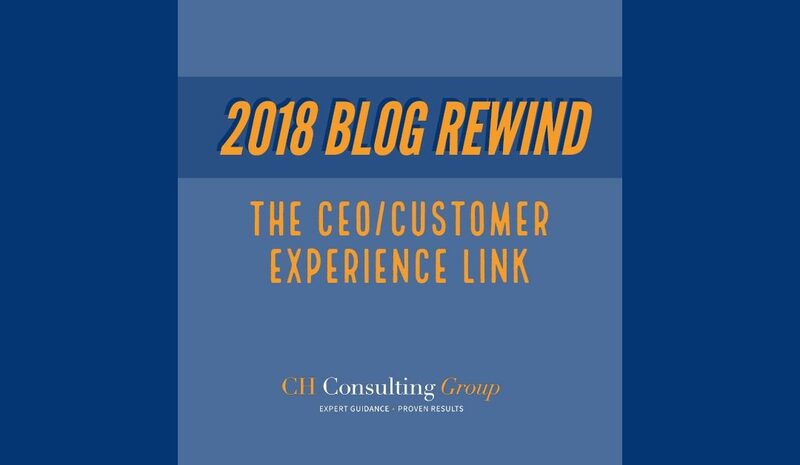 To continue our Blog Rewind series, we invite you to revisit one of our favorites that was released earlier in 2018: The CEO/Customer Experience Link. In this popular blog, we talk about the importance of getting your CEO on board with Customer Experience and the impact it has on the CX that your company ultimately ends up delivering. If you need support in creating or fine tuning a Customer Experience strategy that is aligned with industry best practices and poised to increase revenue and customer satisfaction in 2019, CH Consulting Group is here to help. Looking for contact center consulting services? We can help you with your assessment, recruiting, vendor selection, leadership, and implementation (plus much more!) needs. Contact us today for a free consultation.